The meeting place also caters for all social demographics. 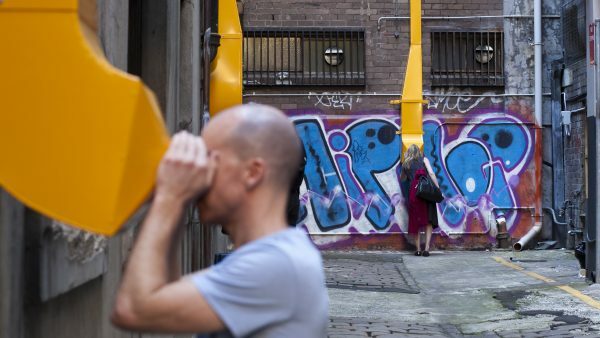 It will be particularly engaging for children – a social group often neglected in the city, with no major playgrounds or public play equipment in the CBD. 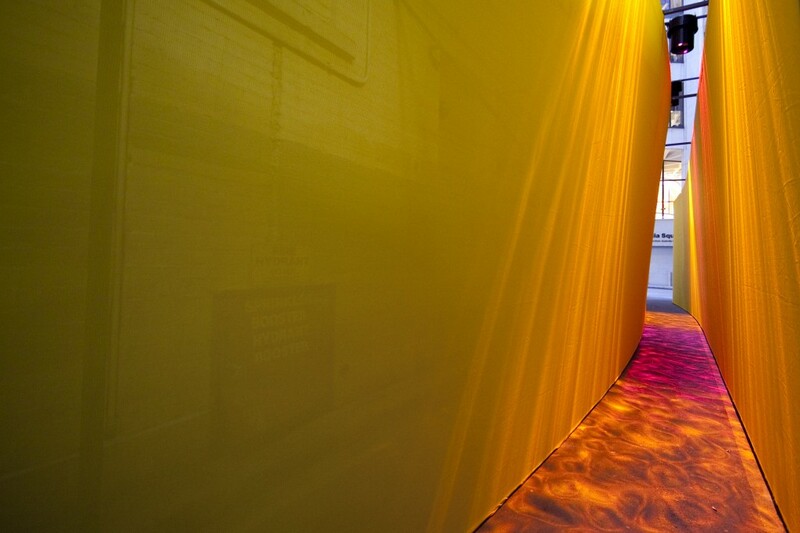 This installation aims to provide a moment of joy and surprise which will appeal to all ages. 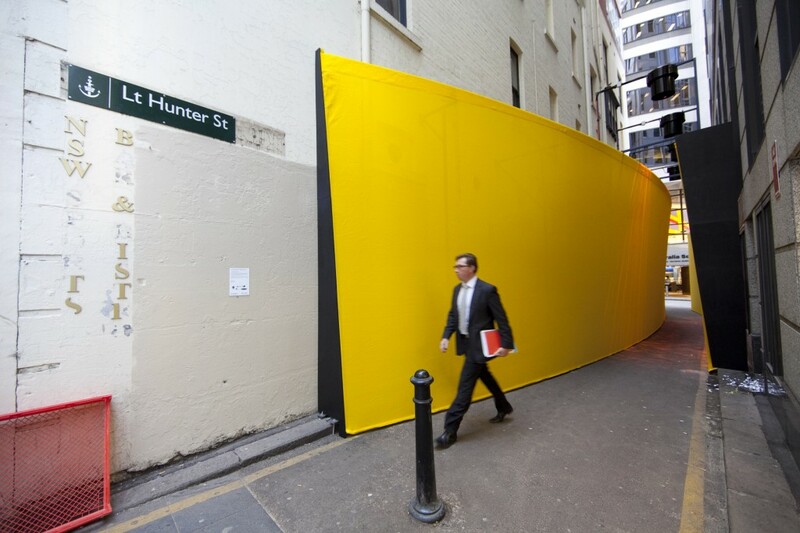 The Meeting Place was a playful installation which encouraged participation and interaction whilst heightening the experience of moving through the urban space of Little Hunter Street. 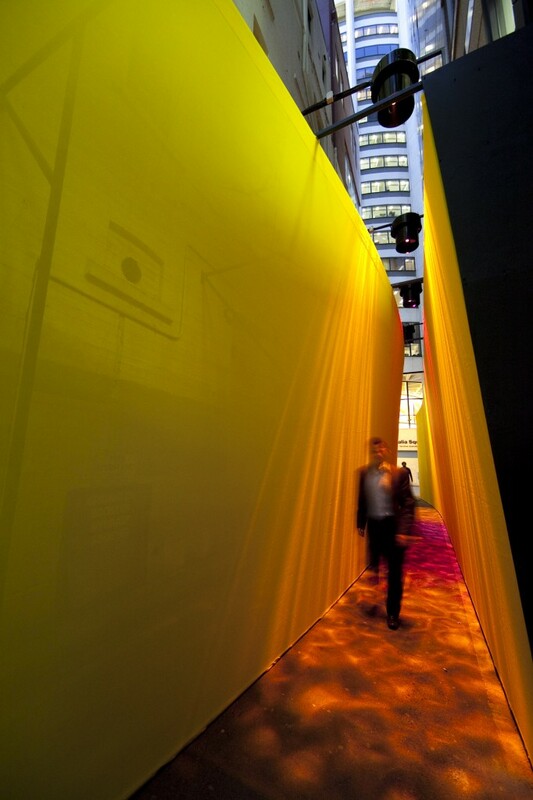 Two 4 metre high fabric walls sat within the laneway, compressing the pedestrian path and framing a sliver of sky that accentuated the unique space of the lane. 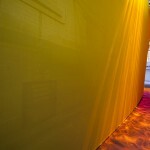 The sculpture was part playground and part architectural installation appealing to all ages. 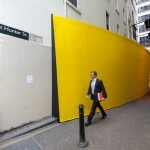 The concept was to create a space which amplified the unique existing tall, thin space of the lane way by creating a framed path which could be entered from the north or the south. 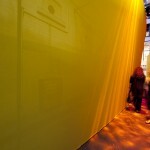 The ‘walls’ of The meeting place were stretched yellow shade cloth attached to a supporting frame by flexible rubber straps which provided give and play when touched.The material had an opacity to it which allowed for views through, and when lit at night became a canvas for revealing movement of people through the space. The width of the path shifted from 900mm at the entries to 700mm at the centre – the meeting place. 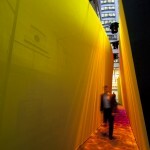 People walking through the lane in both directions had to negotiate with each other to gain their passage through, while the elastic walls flexed to accommodate the lean of the body. 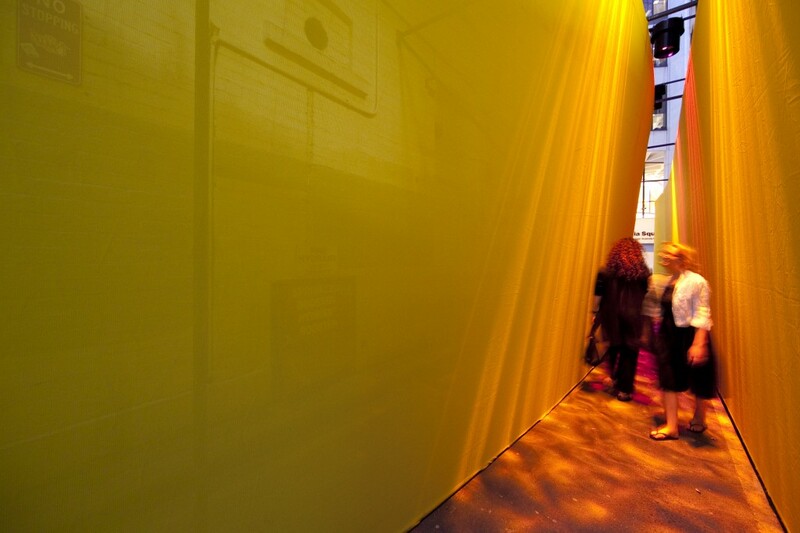 The idea was that the installation would encourage communication and contact with other people like themselves that are moving in the opposite direction. This social aspect of watching and negotiating with others was seen as a way to increase positive human contact through a sense of play.